Restaurant Design Associates Ltd is one of the UK’s most successful and innovative design and installation companies, specialising in the catering, hospitality and retail industries. 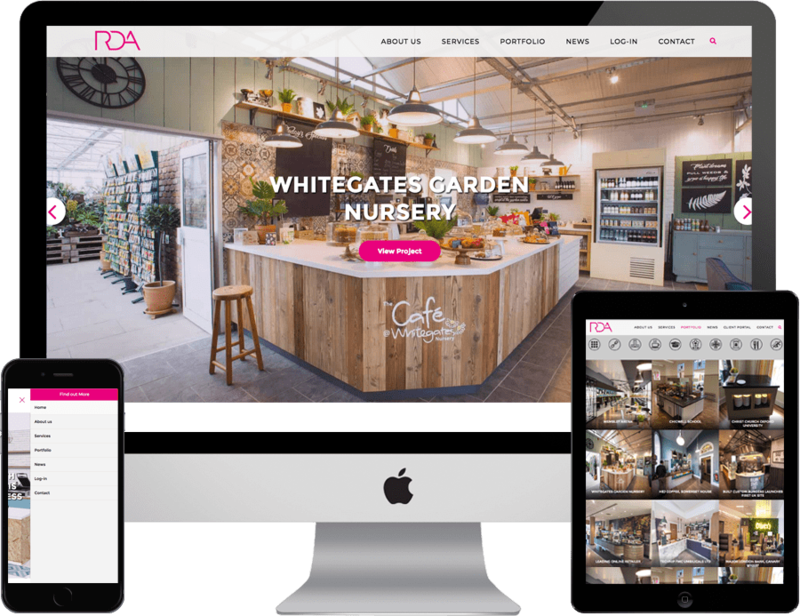 Having worked with web design Newcastle agency Urban River for over 7 years, Restaurant Design Associates (RDA) wanted to update the existing site with clear navigation and more emphasis on the case studies and use of large eye-catching imagery. 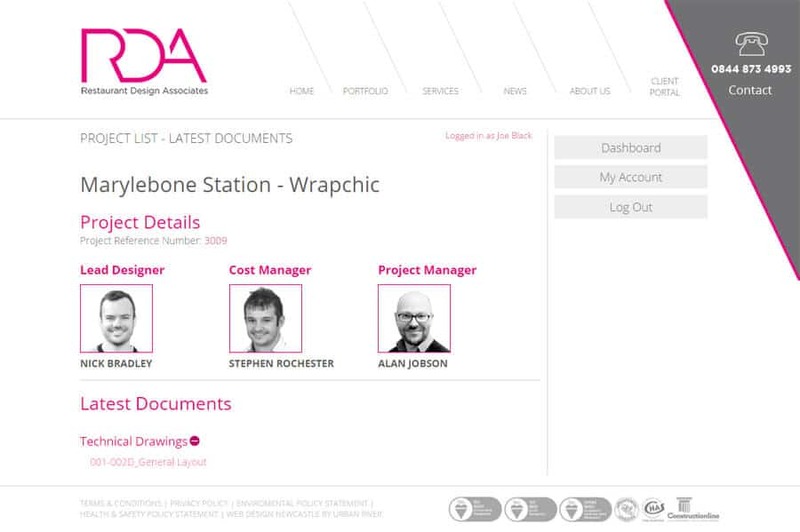 We created a streamlined navigation and focused on displaying RDA’s services and portfolio. The website has been designed to showcase the design RDA has created for their clients. To ensure the best user experience possible for both RDA and their customers to collaborate effectively, Urban River designed and created a secure and structured project management facility into the website back end. Heavily designed to improve RDA’s business processes and efficiency, Urban River created a collaborative area for clients and customers to upload drawings, costs and project notes, all in a secured date stamped area. Key contacts information can also be uploaded to each project, giving customers access to their project managers name, direct email and phone number. Project imageryDisplaying RDA's completed work for their clients. PhotographyTo showcase RDA's expertise at their best, high impact quality photography was used throughout the site. PortfolioTo showcase the range and quality of RDA's work a portfolio section was created. Nick Bradley, Director of Restaurant Design Associates.